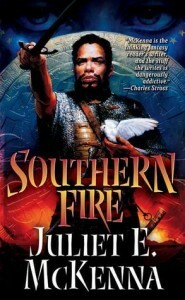 Today’s guest is fantasy author Juliet E. McKenna! She has written the books in the following series: The Tales of Einarinn, The Aldabreshin Compass, The Chronicles of the Lescari Revolution, and The Hadrumal Crisis. 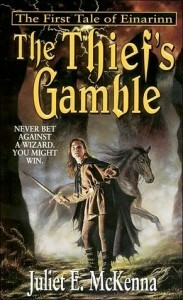 While I haven’t yet read any of her books, I have recently been convinced I should read The Thief’s Gamble, the first book in the Tales of Einarinn, by Elizabeth from DarkCargo. Earlier this month, she discussed some of her favorite heroines in science fiction and fantasy and cited Livak, a thief from The Tales of Einarinn, as one of them and made her sound like a very fun character to read about. I’m thrilled that Juliet E. McKenna is here today discussing the visibility of women writing science fiction and fantasy—and what we can do to help make them more visible! Inequality of Visibility for Women Writers. What does it mean and what can we do about it? In January 1999 I had the wonderful experience of going into my local Ottakar’s bookshop and seeing my debut novel The Thief’s Gamble on display as the SF&Fantasy Book of the Month and piled high right at the front of the store. That wasn’t all; a tempting discount sticker, still a novelty in those days, encouraged potential readers to yield to their curiosity and give this new author a try. Enough book buyers did just that to ensure that my second novel got the same level of promotion. After that my successive releases got their month of helpfully noticeable display on the New Releases fixture just inside the door. Meantime my backlist books could all be found on the SF&Fantasy shelves for browsing fans to find when they’d read the latest releases from their favourites and they were looking for something new. Not because I was getting any particular special treatment but because that’s how books were sold back then. Fast forward fourteen years and how many new books are granted that level of visibility? How often are any debut novels outside the mainstream flagged up to potentially interested readers by Waterstones, the only remaining national bookselling chain on UK high streets? SF&F newcomers may still be shelved in the relevant section but the odds are increasingly stacked against them attracting enough attention to launch a sustained writing career these days. Readers simply don’t browse bookshops in the way they used to. Why pay full price to take a risk on an unknown author when perfectly good reads are on offer at the front of the shops and cheaper? Once such a useful promotional tool, discounting now cuts the retailer’s own throat. Book-buying is severely skewed towards those tables offering a narrowing and permanently marked-down selection. Those titles are increasingly the safe bets offered by publishers; either the latest from established stars or quick cash-ins surfing a wave of mass-media hype. They have to be, if a chain bookstore is going to compete with the supermarkets cherry picking the best sellers to be piled high and sold cheap alongside the baked beans and sliced bread. Books are simply another commodity in that retail environment and seeing them devalued is of no concern to Tesco’s. It’s of grave concern to book shops who used to rely on 20% of titles generating 80% of their profits, at least according to the old booksellers’ mantra. Without the revenues from those best sellers, bookstores can no longer afford the luxury of stocking extensive backlists, especially not since publishers have cut right back on the titles they were willing to supply on sale or return. So it’s not only debut authors who readers won’t find on the shelves. Midlist writers have seen their sales and incomes plummet and that steadily reduces the chances of their new releases getting any decent visibility. Why promote the latest title by an author whose track record offers no guarantee of a worthwhile return for the hard-pressed bookseller? That’s in the UK. Over the US different problems can cause authors just as much grief now that Barnes & Noble similarly dominate the physical bookstore sector. With B&N locked in a financial dispute with Simon & Schuster over who bears the costs of ebook discounting and print book promotions, writers can do nothing as Barnes & Noble decline to stock S&S titles in an effort to force an agreement on favourable terms. And let’s remember that Amazon’s growth notwithstanding, physical bookstores do still matter. Here in the UK, they still sell 75% of our books. So far, so grim, but what has this to do with women writers specifically? Male debut and midlist writers are suffering equally alongside their sisters after all. True but this is where other factors make discoverability markedly more problematic for women. Consider the disparity of review coverage between male and female writers in genre magazines and blogs. Check out the 2011/2012 SF Counts at Strange Horizons if you’re unaware of this and more recently, LadyBusiness’s analysis. 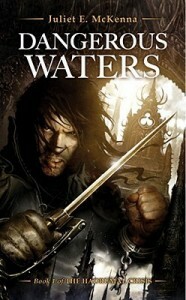 I wrote about this issue for the SFX blog in September 2011. The 2013 Strange Horizons SF Count shows there is still an awful lot of work to be done before we see the gender balance of books reviewed equalling the balance among their writers. The impact on female authors doesn’t stop there. As with review coverage in genre magazines and blogs, this lack of visibility in bookshops for women will influence online sales. 48% of Amazon purchases are generated by targeted searches rather than idle browsing. People go looking for what they want to buy, frequently after visiting high street shops. How are they going to go looking online for books by women which they don’t even know exist? Lack of visibility goes on to have more subtly insidious effects. Even with so many excellent female editors and agents now at work in the UK and the US, SF&F imprints consistently report under-submission by women compared to the numbers of female participants in writing groups and courses. Why is this, when the days of deliberate prejudice or overt sexism in the book trade are long gone? Believe me, along with many feminist genre writers I have looked long and hard for such bias and have simply not found it. But what about the following advice offered to would-be writers far too often these days. Since the book trade won’t promote female authors within a particular genre in the firm belief that they won’t sell, so this received wisdom goes, doesn’t it make sense for a woman writer to abandon her hard SF novel for something more commercially viable like urban fantasy? The first trick is getting published, after all. She can always come back to SF once she’s established. Perhaps she would be better off rewriting that SF novel as Young Adult fiction? Because look, women are highly visible in both those fields while they’re absent from hard SF – just glance at the bookshelves. That’s the point where it becomes increasingly hard to argue on behalf of those agents and editors I know who are passionately keen to promote good writing by women in every sub-genre of SF&F. It becomes my word against the apparent evidence. Once again the self-fulfilling prophecy of ‘what everyone knows’ is reinforced irrespective of the reality. Anthologies is another key area where women writers could and should benefit from opportunities for visibility drawing new readers to their work. However editors similarly report disproportionately fewer female submissions though those I have spoken to invariably note the overall higher quality of the work they see from women and thus their greater chances of success. This reflects the quelling influence of wider culture which still curbs women far more than men. Studies into the under-representation of women in published research from academic institutions to scientific and technological companies has found precisely the same pattern of fewer submissions, albeit of a higher standard overall than those from equivalent men. Because popular culture still teaches women to hold themselves to a more demanding standard while men are encouraged to value their work and opinions from the outset. Is all this infuriating? Yes. Can we ignore it? No. But of course these days, this isn’t the whole story. Influential as bookshops may still be, what about the Internet? Famously, no one knows if you’re a dog or anything else online. Surely the solution is simple and in women’s own hands. We must generate our own high profiles through blogs and a dynamic social media presence. Look how successful some writers have been; Gaiman, Stross, Doctorow, Scalzi to name but a few highly visible … men. For the purpose of this particular discussion, we’ll take as read the inconvenient realities of just how long it takes to build up a high-traffic blog, and how much concentrated hard work, not to mention the requirement for an innate talent for a distinctly different style and approach to writing, compared to novels. Those hurdles face men and women alike trying this supposedly easy route to fame and fortune. Irrespective of gender, most will to end up with one of those millions of websites visited by five kindly relatives and their cat. However online misogyny presents additional challenges for women. I’m unaware of examples in the book sphere as extreme as the attacks on Mary Beard or Anita Sarkeesian but I have followed the negative and argumentative responses to a male blogger aiming for gender balance in his own reading over the coming year. This sort of aggression definitely deters women from putting themselves in the firing line. So is it time to throw up our hands and despair? Must blind market forces and uncaring cultural inertia inevitably prevail? Not as far as I am concerned. These are dumb systems and we are intelligent people, men and women alike. We can analyse situations and identify inherent, unconscious bias. We can all take active measures to counter inequalities from reviewers making a positive decision to broaden the scope of their reading to the editors of anthologies and short story magazines checking the gender balance of their choices. Readers can use online resources to buy the books they see recommended and work by talented writers which they can’t find in the bookshops. If enough of them do, the bookshops will soon start taking notice. We’ve seen that played out in spectacular fashion in the last year or so, albeit for regrettably less than spectacular books. None of this means giving a pass to substandard work simply because the author is a woman. That does no one any favours, women least of all. But if we act to make sure that the playing field is a level one, if women are still absent, we can legitimately ask why. Discussion around this year’s Arthur C Clarke Award is a case in point. I was one of the judges, four out of five of us women, who agreed on an all-male shortlist from the books submitted for our consideration. Not so very long ago, male dominance of awards was taken for granted and even cited as evidence that women simply weren’t up to producing work of sufficient calibre. Since then women from Pat Cadigan to Lauren Beukes have shown that complacency for the nonsense it is. Consequently this year’s debate has highlighted very different issues around women’s writing as in this article by my fellow judge Liz Williams. Why are female SF writers not afforded the same sustained publishing careers as some men? Responses have also highlighted forthcoming books by female SF writers which will be eligible next year, including but not limited to Naomi Foyle and Stephanie Saulter. I had the honour to help present the Hugo Award Nominations to this year’s UK Eastercon where an encouraging number of categories had a significant number of female nominees, particularly for the best related work, fancast and semiprozine awards. If women are still culturally, infuriatingly, disinclined to promote their own work, they are often very good at recommending other women’s work. This very blog you’re reading, and a great many others, are evidence of that. Facebook and Twitter recommendations offer further opportunities for everyone to help increase women writers’ visibility. Morevoer, the more women are active online, the greater the solidarity and support available to counter the sexist trolls. Those Hugo Award nominations were also notable for those categories where women are significantly under-represented or absent, particularly in the graphic story and dramatic presentation categories. Along with many others, I am still waiting for someone to identify whatever dumb systems prevent female screen writers from working on high profile UK shows like Doctor Who but meantime, excellent women writers are at work in US genre television. Debate on barriers to entry and visibility for creative women in the comics world continues apace. Those content with the historic status quo are increasingly challenged to justify excluding female participation for no better reason than ‘that’s just the way it is’. Challenges to gender disparity on guest lists and panels has now expanded beyond comics conventions. The EightSquaredCon Committee (on which I served as Chair) made a commitment to strive for gender parity across the Eastercon 2013 programme for the reasons detailed here. A full write up of the issues we encountered along the way is in hand. For the purposes of this discussion, it’s sufficient to say that 46% of the convention’s panel participants were women; that over 60% of panels had at least two men and two women while panels with only one man or one woman were equal in number – and you may be certain that we’re keenly interested in the reasons why those particular situations arose. With EightSquaredCon’s public statement encouraging women to volunteer, the programme co-ordinators were able to achieve this without any compromises on the quality or scope of discussion. Indeed, the positive feedback we have received indicates that this drive for panel parity actively contributed to the strength of the programme overall. Everyone benefited as encouraging new perspectives offered established convention contributors the chance to engage in fresh debates and offer previously unheard opinions. This is just one example of the way in which in equality in visibility isn’t just a women’s issue. It’s a readers’ issue. It’s an authors’ issue. More than that, striving for equality goes beyond gender concerns. It matters for every historically under-represented group. These days, thankfully, it also matters to those able-bodied white males now recognising unjustifiable limitations imposed on their wives, sisters and daughters. Plenty have the wits to realise they are personally playing life on the lowest difficulty setting. They’re ready to challenge disparagement of female authors which has nothing whatsoever to do with their work. They’re inviting female guest contributors to the high-traffic blogs they’ve worked so hard to establish. The Hawkeye Initiative cheerfully and effectively mocks the contorted sexual displays foisted on comics fans. So while inequality of visibility remains a problem for women authors which we must not ignore, it’s equally as important that we recognise the many ways in which we can all take action to counter this and other exclusions. The more equality of opportunity expands, the more self-evident it will become that everyone will benefit as SF&Fantasy writing is enriched by an ever-widening range of experiences of gender, race and cultural backgrounds. Our genre has always been the pre-eminent literature of exploration in all senses. We can all ensure that fine tradition continues. Juliet E McKenna has always been fascinated by myth and history, other worlds and other peoples. 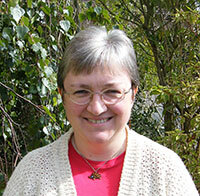 Her debut novel, The Thief’s Gamble, was published in 1999 and 2012 saw the publication of her fifteenth epic fantasy, Defiant Peaks, concluding The Hadrumal Crisis trilogy. She reviews for the web and magazines notably Interzone and Albedo One, teaches creative writing from time to time and fits all this around her husband and teenage sons. She writes diverse shorter fiction ranging from stories for themed anthologies to a handful of tales for Doctor Who, Torchwood and Warhammer 40k. Always enjoying the challenge of writing something new and different to her novels, her latest venture is serial fiction for Aethernet magazine.